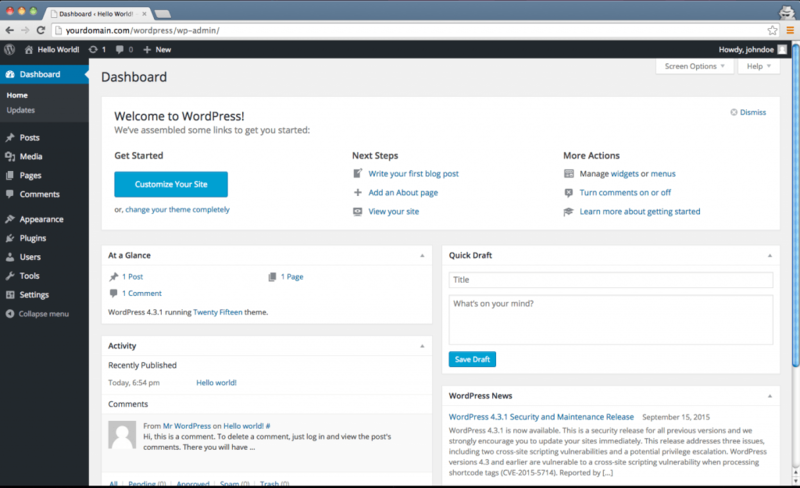 Installing WordPress on CentOS couldn’t be easier. We just need to make sure that Apache, MySQL, and PHP are installed and operational, then upload the WordPress files to the Apache VirtualHost directory. Now, let’s jump right into installing WordPress! First we need to make sure that Apache, MySQL (or MariaDB in this case), and PHP are installed and running. Everything looks good! 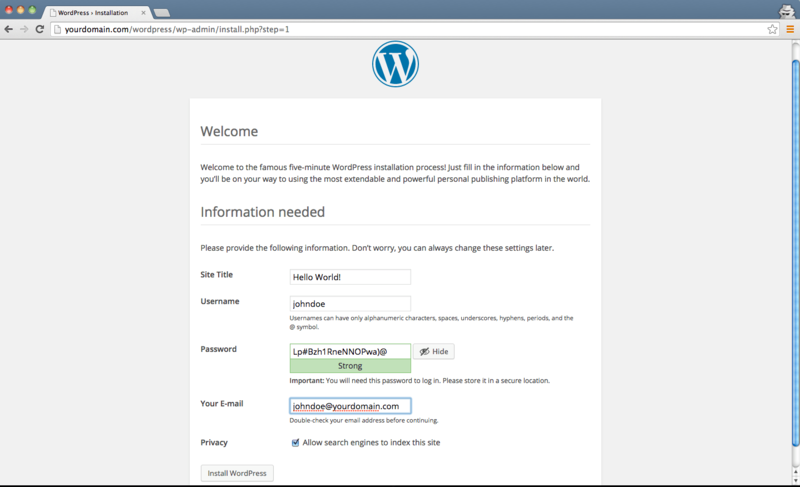 Now we can download WordPress, and get it installed! Let’s create the WordPress database and user. Make sure to take note of what settings you use, as you’ll need it for the next step. Don’t just copy/paste the below commands, change them to something unique to keep your WordPress database secure. Now we need to modify the wp-config.php file to include your database settings. Find the below block, and input your database name, user, and password. You also want to set the Unique Keys and Salts. This will help keep your WordPress installation a little more secure. You’re now ready to run the WordPress Installer! All you need to do at this point, is select your Language and create your WordPress Admin account. It’s that simple.